Utilizing its extensive knowledge and experience on 1394b drivers, Unibrain introduces a brand new lineup of 1394b cameras with a wide (and expandable) range of CCDs, frame rates and resolutions. 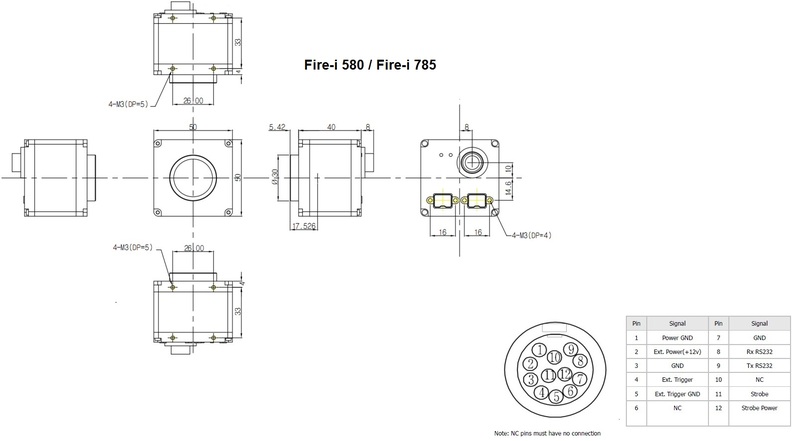 The cameras feature dual firewire ports for multi-camera connectivity and a compact and lightweight housing. 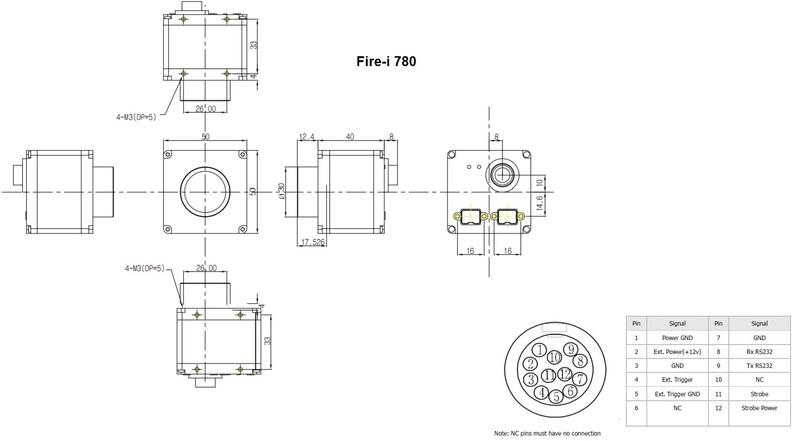 The small form factor provides more versatility in space and weight considerations. Using the fast IEEE-1394b digital bus protocol and an external trigger to streamline the capture, digitization and processing of color video signal, these cameras are designed to simplify real-time uncompressed color video streaming, digital still image acquisition while maintaining high resolution in various applications. 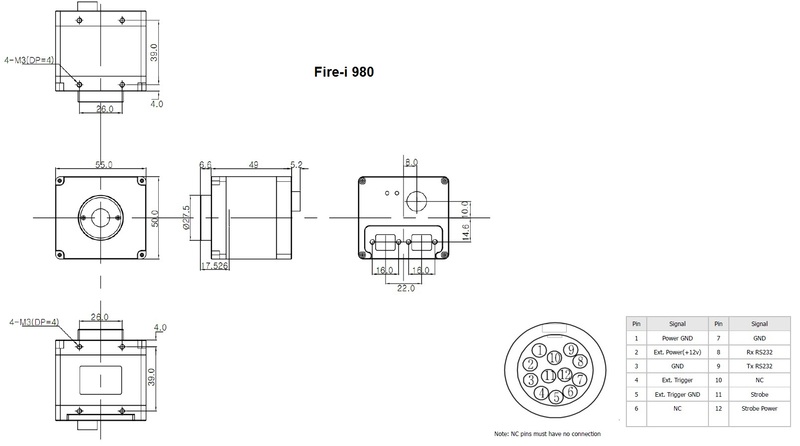 The cameras are equipped with a C-Type Lens mount for flexible use of industrial C-Mount lenses and also the firewire port comes with industrial screw lock cable support to ensure stable camera connection. Available models incorporate VGA 1/3″ CCD at 86 fps, SXGA 1/3″ & 2/3″ CCDs at 30 fps (featuring Sony ExView HAD CCDs) and 5 Mega pixels, 15 fps based on the dual-tap ICX-625 Sony CCD sensor. Dual 1394b screw lock ports for multi camera connectivity. 32 MB image buffer / 15 memory settings channels. Low Smear and excellent anti-blooming. 14 bit A/D converter, 8/12 bit data depth. True RAW-8/16 mode support (color models). Low power consumption 2.5-3.5W at 8-30 VDC. Compact and lightweight (160 gr) housing. 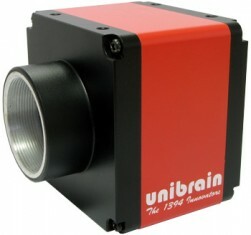 Unibrain ubCore 1394b drivers and camera control tools. Embedded license for Unibrain drivers/SDK. Unibrain Fire-i API™ development kit. Tripod adapter, part nr: 4626. 50 (W) x 50 (H) x 40 (D) mm / 160 gr. 50 (W) x 50 (H) x 40 (D) mm / 165 gr.